These elegant sterling silver repoussé cufflinks are skilfully designed and hand forged by Jennifer Medina. The cufflinks measure 3cm in length and are partially oxidised to emphasise the beautiful shape. 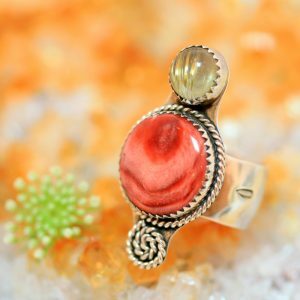 Jennifer Medina is an award winning silversmith from the Kewa Pueblo tribe. These elegant sterling silver repoussé cufflinks are skilfully designed and hand forged by Jennifer Medina. 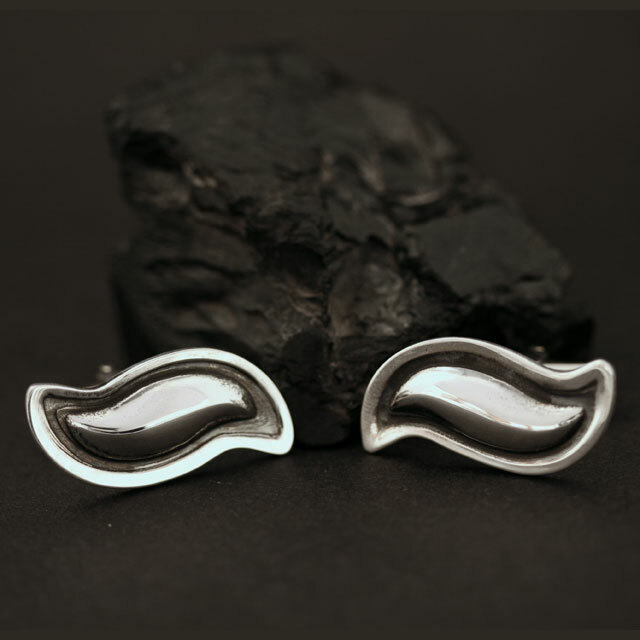 The cufflinks measure 3cm in length and are partially oxidised to emphasise the beautiful shape. Jennifer Medina is an award winning silversmith from the Kewa Pueblo tribe. Kewa Pueblo is the largest of the Indian Pueblos in Northern New Mexico, USA and is also known by the Spanish name of Santo Domingo Pueblo. 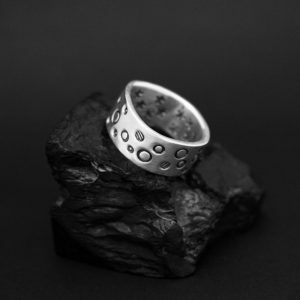 The Medina family are exceptionally talented and have been making beautiful jewellery for Rainmaker Gallery for seven years. 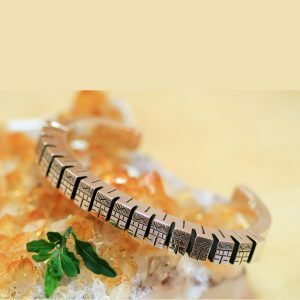 Initially, Jennifer and her sisters were taught traditional jewellery making by their late mother Rose Medina. “I was taught by my mother at a young age of 12 with my two sisters. She made us learn because it was her only income and thought we would use it some day. We grew up learning how to cut turquoise, shell and coral. She taught us how to shape and drill the stones. By our junior year of high school we knew the whole process of bead making from scratch. An art form our people from Santo Domingo Pueblo have been practising for hundreds of years.